In Photos: Russian Special Operations Forces In Syria 4.6923076923077 out of 5 based on 13 ratings. 13 user reviews. A new series of photos allegedly showing operators of the Russian Special Operations Forces in Syria has appeared online. Just recently, the Russian Defense Ministry reported that a group of 30 terrorists was eliminated in the country as a result of the joint operation of the Special Operations Forces and the Russian Aerospace Forces. The operation was conducted in response to the death of 3 Russian service members as a result of terrorist attack in late February. So, What ? Are they going to prepare the offensive on Idlib ? If this is so, very good. If not, who care. In fact it is a very old trick. When you take of the night vision or thermal vision and it is dark, your eyes are adopting to the environment about one minute. It’s a very long period for an active combat. But when you use only one eye for the sight, the other one doesn’t have to adopt for darkness around you. Weight is an issue for me on ET/ED contact operations, as is bulk. I’ll be 61 years old in May, and the horizontal and vertical distances that I have to travel on foot to reach sufficiently remote mountain terrain formations that are favorable for contact without interference from other people that could impair it range from less than 2 miles to up to 20 miles round trip. There are limitations of how much weight I can carry and still maintain an acceptable pace. And bulk is also an issue traveling off trail through forest and undergrowth on snowless or snow covered terrain. So I’m constantly looking for light weight compact gear for these operations. Getting assistance from indigenous low IQ bigfoots rather than having them as adversaries could be a big help in moving gear. At this stage that’s not in place. So I have to move everything myself, or bring others with me, which could impair contact. This is a discus GIF format that I could use for embedding short video clips without having to use Youtube. 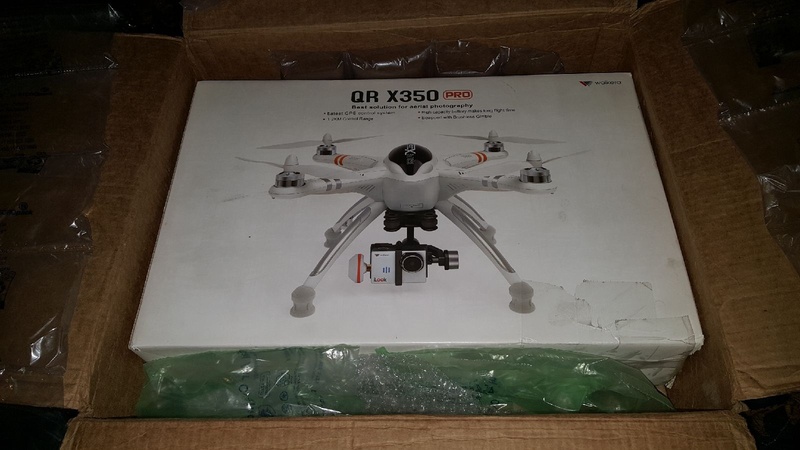 I bought my Walkera recon drone new for $150.00 off of Ebay with a damaged carton. Retail is about $800.00, so I got a pretty good buy. 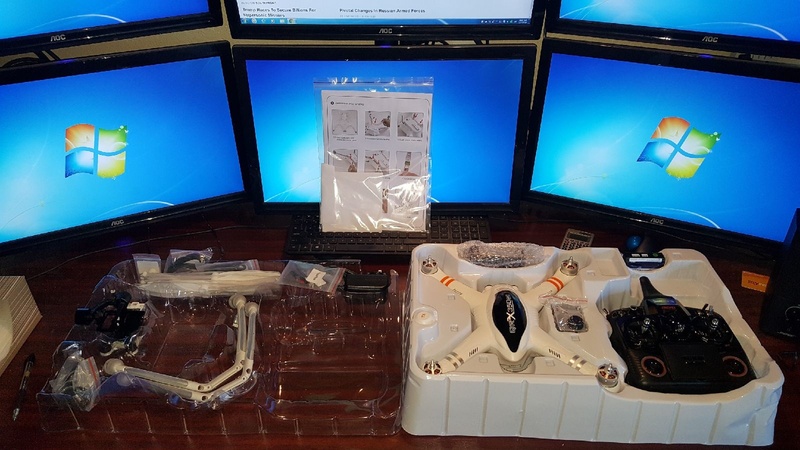 The drone kit itself inside the carton is new and undamaged. 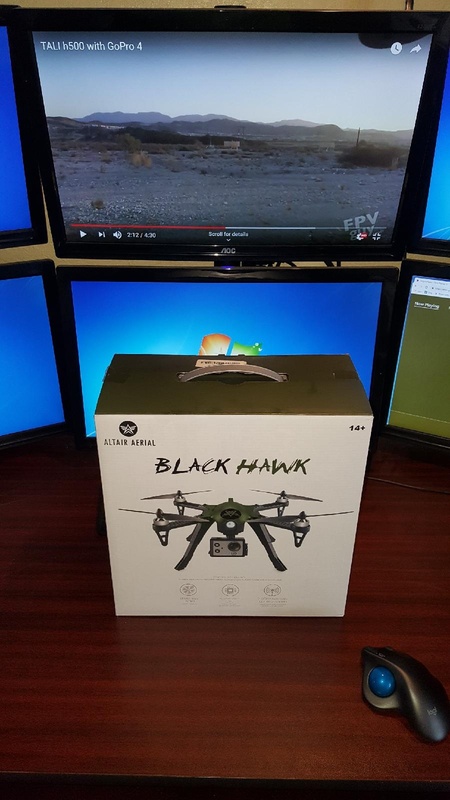 I also bought a Black Hawk camera drone. It’s not as advanced or powerful as the Walkera. But it’s still a very capable piece of equipment. I’m running Windows 7 Pro and Android on most of my machines. Because it’s the most common, and compatible with other programs. Linux has a lot more compatibility issues and a lot of programs probably aren’t compatible with it. Like the Apple operating systems. The Windows Defender security program, and CCleaner also works seamlessly with it. If Microsoft stops supporting it. I’ll change to something else. But until then, if it isn’t broken, I’m not going to fix it. I know that it’s hackable, and other systems may be less so. So if there is something that I don’t want snoops to know, it doesn’t go on my computers. What goes on in other areas of my life that doesn’t have a digital footprint, is between myself and the parties involved. I keep my machines updated and clean them after every use. They’re also high end builds. Some are a little dated. But they were top end when they were built, and have lasted a long time with few issues. Hardware helps a lot. This 6 screen has double thickness radiator liquid cooling, 256 GB solid state hard drive as the primary with a 1 TB mechanical back up for storage. 32 GB of Ram, external antenna wireless, an AMD 8730e 8 core processor overclocked to 4 Ghz clock speed, a good quality mother board and graphics cards, 1,000 watt power supply, and 4 case fans, including the radiator and power supply. It does everything that I need it to do with a lot of spare capacity. Cray has cloud super computing now with Microsoft if I need it. Which so far I haven’t. Is ET for extraterrestrial? Then what does ED means? Man, if you ever would have a mood, please find and read the book “The Soul after death” by hyeromonk Serafim. Please pardon me for unasked advice. I’m trying to avoid death and to find out from more advanced lifeforms than us what for us is the afterlife actually consists of. There are evidently laws limiting ET interaction with us at this stage of our development. So we may deal with a disproportionate percentage of lawbreakers. Deception can be a problem with negatives masquerading as neutrals or positives. So you have to be careful. I WONDER IF THE EAR PHONES THAT THEY’RE WEARING HAVE SOUND ENHANCEMENT CAPABILITIES FOR LISTENING TO THE SURROUNDING ENVIRONMENT?